Check all the Benefits of hosting a house party!!! As part of my party pack I received a set of all 9 shades of Benefit’s new Hello Flawless Oxygen Wow brightening liquid foundation, 14 deluxe samples of best selling The POREfessional PRO balm to minimize the appearance of pores (and one full size for me), 14 deluxe samples of award-winning BADgal Lash mascara, Benetint, the world famous rose-tinted lip & cheek stain, Speed Brow quick-set brow gel, Hervana blush, Big Beautiful Eyes contour kit, a limited edition Hello Flawless travel make-up bag, and loads more! During my party I was able to match foundation shades to my guests and give them a sample vial’s full of their color match Hello Flawless Oxygen Wow foundation, with a handy shade key so they know what to buy the next time they find themselves at Ulta, Sephora, or at a Benefit Boutique (where they could also use the coupons stashed away in their goody bags). It was loads of fun creating make-up looks for all my guests! While our party was full of the best cosmetic (laughter), on a more serious note- my guests and I were all super seriously impressed with Benefit’s products (and I was a Benefit fan prior to to the par-tay)! Like me, many of my guests have struggles with finding a mascara that doesn’t irritate their eyes (never mind covering up pores, but I’ll get there in a minute)- but BADgal Lash Mascara really is on the money! It didn’t irritate anybody’s lashes even after numerous re-applications (what? we all tried at least two different eye make-up looks, plus, if you had this mascara you’d want to play with it too). On top of that, the mascara left our lashes looking super lush and long. BADgal lash is now without a doubt my favorite mascara! A must-have for a flawless look! Minimizes appearance of pores! While I love love loved the Hello Flawless Oxygen Wow foundation- I have to say, what really made the difference in my opinion was the POREfessional PRO balm. This product, applied under foundation, gives your skin that flawless movie-star/magazine model look by making your pores practically disappear. It creates the perfect canvas for foundation application. After trying this product on all my party peoples- including myself- I feel like this alone could make even the crappiest foundation look good on your skin. It was an amazing party- and my guests had a great time! So thanks House Party and Benefit! Curious about hosting your own party? Check out the house party website here, and start applying! It’s free! Want to learn more about the products I received from Benefit, or purchase them yourself? Go to Benefit’s site here, or check them out on facebook and twitter! Now for the giveaway part: House Party has generously allowed me to giveaway the remaining goody bag from my Laughter is the Best Cosmetic House Party!!! One winner will receive a Benefit goody bag filled with a few awesome treats including a deluxe sample of the POREfessional PRO balm, which minimizes the appearance of pores, and a deluxe sample of BADgal Lash mascara- the best mascara everrrr! To enter: Please leave one comment per entry!!!!! This giveaway starts 3/28/12 and ends 4/4/2012 12p.m. midnight! EBOOST, for natural, long-lasting energy! I would love to try the watt’s up! soft focus highlighter for face. I Love hosting these parties there so much fun I am doing a Duncin Hines Party. If you are not a member you should check it out. House party sounds like way too much!! I’m gonna check it out! I’d love to do something like this with my friends! The silky finish lipsticks and I did do all you asked above. 4) Follow you, too, both on twitter and facebook! I would love to try the POREfessional. It sounds amazing! Love love boiing! Of course I have liked everything I’ve tried from Benefit! I follow Benefit Cosmetics as @LPOBeauty on Twitter. 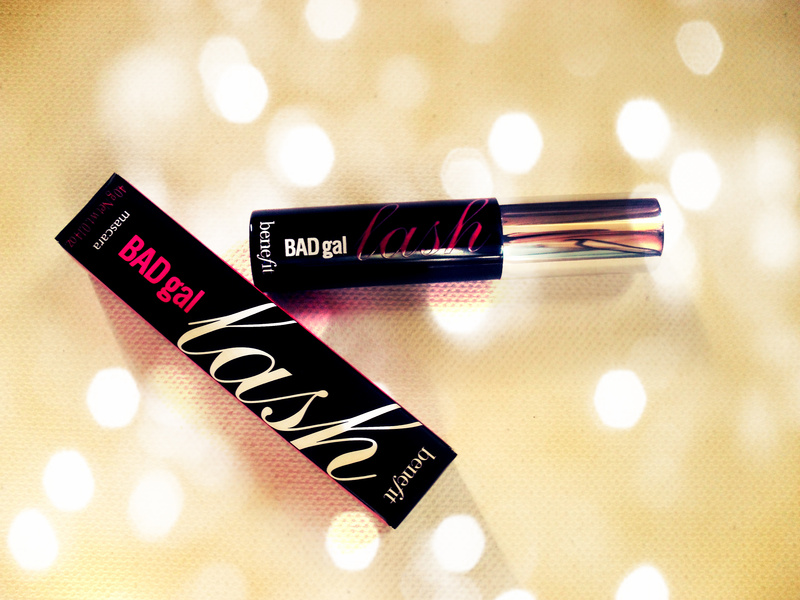 Their “Bad Gal Lash” is my fave and it’s awesome! I would LOVE to try Hervana<3!!! THANK YOU:)!!! I like house party on fb emmy sla:)!!! THANK YOU:D!!! I like Benefit on fb emmy sla:)!!! THANK YOU:)!!! I LIKE you on FB Emmy Sla:)!!! Thank you:)!!!!! I follow house party on twitter @emmybear411 thanks:)!!! I follow you on twitter @emmybear411 THANK YOU SO MUCH:D!!!!!!! I follow Benefit on twitter @emmybear411 THANK YOU SO SO SOOO VERY MUCH:)!!! I’d love to try the they’re real! mascara. I follow House Party on twitter (@shala_darkstone). I follow House Party on Facebook (FB name: Madeline Brubaker). I follow Benefit on twitter (@shala_darkstone). I follow Benefit on Facebook (FB name: Madeline Brubaker). I have been dying to try the POREfessional PRO balm! I have heard such great things about it. The Porefessional could really help me and I would love to try it. I would love to try the Porefessional Primer. i love my brow zing! I would like to try the “it’s potent! eye cream”. Their site is Super FUN! I followed House Party on Twitter and sent them a tweet thanking them for the generous giveaway on NYC talon! 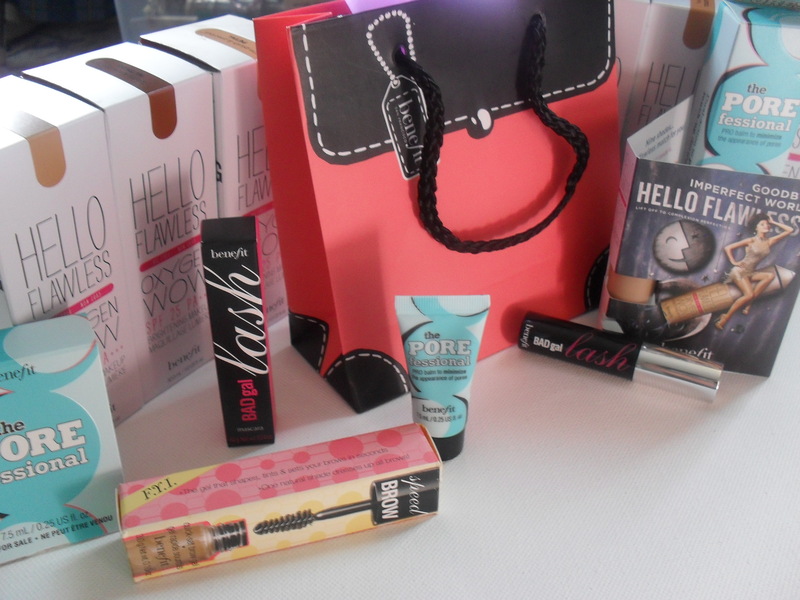 I liked Benefit Cosmetics facebook page and thanked them for the Awesome Giveaways at the NYC Talon. I liked house party on facebook and left them a post saying thanks for letting the NYC Talon hold a Benefit Cosmetics Giveaway on their site! I followed Benefit on twitter and thanked them for the generous giveaway at the NYC Talon! I am following you on twitter and left you a tweet! I liked your page and left you a post! I’ve loved Benefit for years! There are so many things I would love to try!!!! I already follow House Party on both FB and Twitter!! I already follow Benefit as well! I like hello flawless and dr. feelgood! I am following House Party on facebook and twitter. I follow you as well! Wow am I tired this morning! Liked you on facebook! I love love love Benefit and would love to try their top selling boi-ing! @tamarsw follows House Party on Twitter. I love Benefit’s Bad Girl Lash Mascara! I would love to try the the POREfessional PRO balm. I’d love to try the bo-ing concealer! I’d like to try the Hello Flawless Oxygen Wow, but I’m really interested in the pore product. My pores have been huge lately and I can’t seem to get anything to make them smaller. I’m following all on both Twitter and Facebook. My favorite product is Girl Meets Pearl! Thank you for the AWESOME giveaway! BADgal liner waterproof would be incredible to try! follow house party on Facebook! I want to try the POREfessional pore minimizer. i also like the lip/cheek tints. I like house party on facebook. I’d love to try the hello flawless oxygen wow! foundation since my skin is kind of blotchy and needs to be evened out. Following House Party on twitter as @TammyAllgood! Following House Party on facebook as Tammy Allgood-Hemmerling! Following Benefit on twitter as @TammyAllgood! Following Benefit on facebook as Tammy Allgood-Hemmerling! Following you on twitter as @TammyAllgood! I would just LOVE to try the POREfessional, Stay Don’t Stray and Lip Plump. These products just look absolutely wonderful!! WANT. I like Benefit Cosmetics on Facebook!! I know my girlfriend has been wanting the Hello Flawless. I am entering this for her. I’d most love to try the ” they’re real! mascara” and the “it’s potent! eye cream”. Thanks for the giveaway. “Vicki Vix” follows House Party on Facebook. Follow you via Twitter – @FromFurrin. Follow Benefit as “Vicki Vix”. Follow The NYC Talon via Facebook – “Vicki Vix”. Follow NYC Talon via twitter – @FromFurrin. I’d love to try boo boo zap! I like Benefit Cosmetics on Facebook. I love all of Benefits products that I have tried so far! I would love to try the POREfessional because I have very large pores and it always looks worse with foundation. Would love to see how well it works! I would love to try the POREfessional product! I have very large pores and I think this could be the product I have been searching for! I would love to try boi-ing! I love their Erase Paste…use it everyday! I would love to try the Hello Flawless foundation. Thanks! I would like to try the Porefessional Primer. My daughter would love this. She is graduating high school in a few weeks and this would make a great gift for her! I would love to try the dr. feelgood formula! 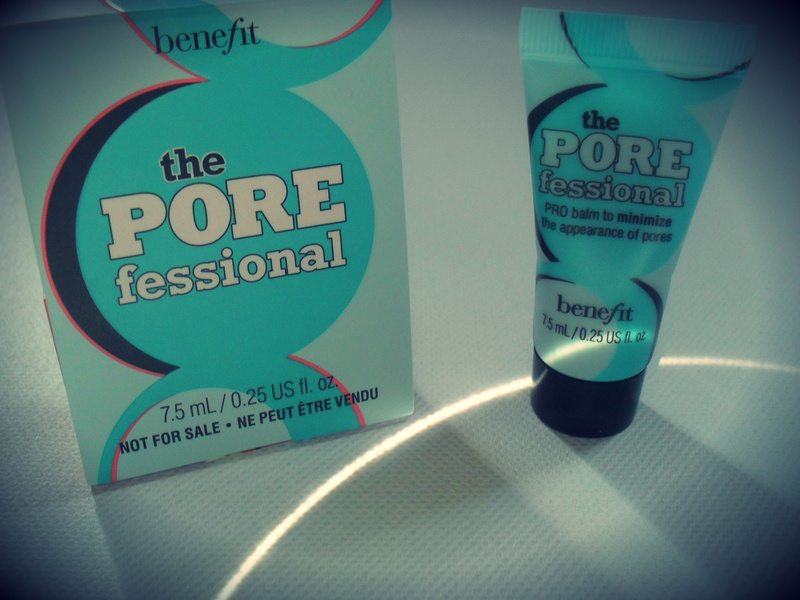 I love the Pore Professional! I love bad gal lash and boing concealer! I would like to try the foamingly clean facial wash. I follow House Party on Twitter @mgoss123. I follow Benefit on Twitter @mgoss123. i would love to try the hello flawless oxygen . l would love to try the POREfessional! I would love to try the Beyond Mascara. I follow House Party on FB. I like Benefit on FB. i want to try the 10 highlighting and bronzing duo. i heard it’s pretty great! I follow you on Twitter @Lisa_Blogs. would love to try the badgal lash mascara! I love the California’ Kissin’ Smile brightening Lip shine. Sounds fab. My favorite item is the dandelion brightening face powder! I’d love to try the Benetint cheek stain. My favorite product is the Benefit Benetint. I would love to try magic ink jet-black liquid eyeliner. I love products like the creaseless cream eyeshadow/liner in black! I Follow House Party on twitter. I liked House Party on Facebook. I Follow Benefit on twitter. I liked Benefit on Facebook. I want to try Movers & Fakers Primer! I like House Party on Facebook as Christy Ann. I follow House Party on Twitter as @babybraddy. Like Benefit on Facebook as Christy Ann. Follow Benefit on Twitter as @babybraddy. Like you on Facebook as Christy Ann. Follow you on Twitter as @babybraddy. I would love to try the Brightening Face powder in Dandelion. I would love to try the Cabana Glamour set. Follow The House Party via Facebook. I would love to try their “They’re Real!” mascara! I wear makeup practically every day and mascara is the most important part of it. I also applied for the laughter house party but I was kind of bummed when I wasn’t selected. But this really got my spirits up again since I still have a chance to get the Benefit makeup now. 🙂 Thank you! I’d love to try the benetint lip balm SPF 15. I would love to try ooh la lift-instant under-eye brightening boost. I would love to try hervana powder. I am a HUGE fan of bad gal mascara! I like Benefit on Facebook. I love house party! I would like to the porepfesional.